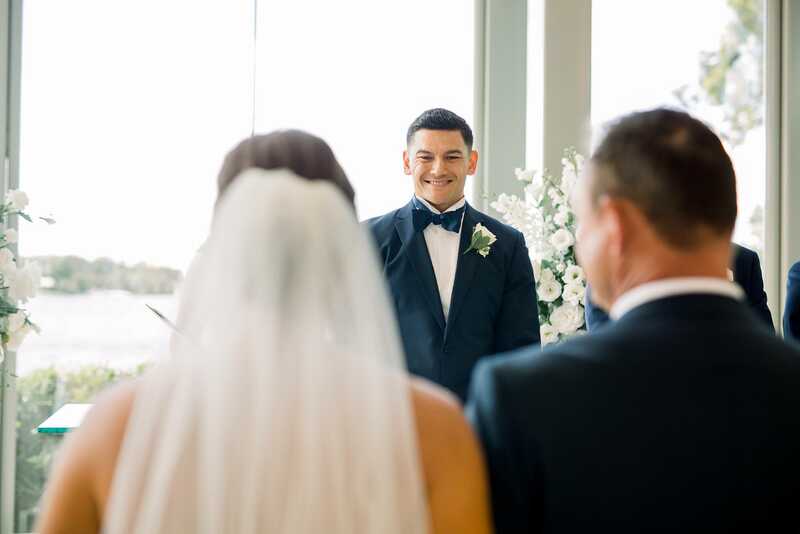 Set at the northern end of the beautiful Gold Coast within Sanctuary Cove, InterContinental Sanctuary Cove Resort has its own private chapel set amidst lush tropical gardens, manicured lawns, picturesque fountains and a magnificent lagoon beach. 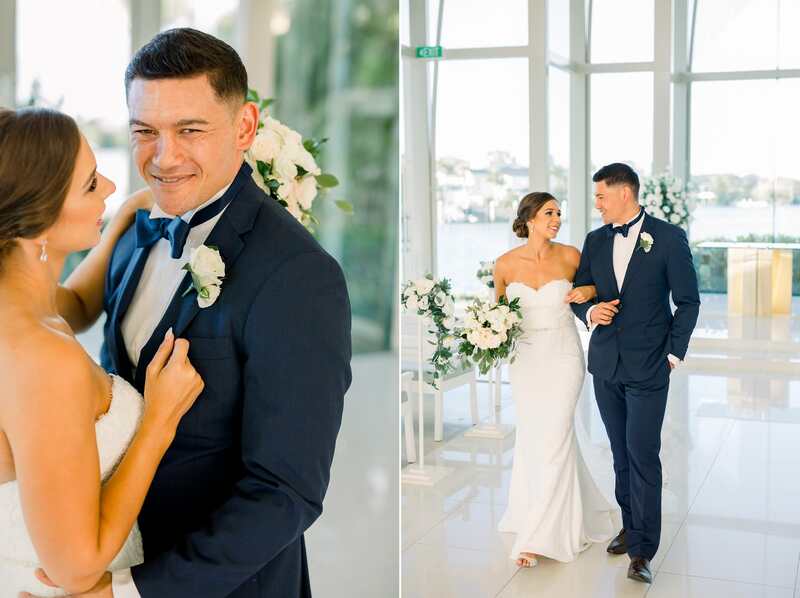 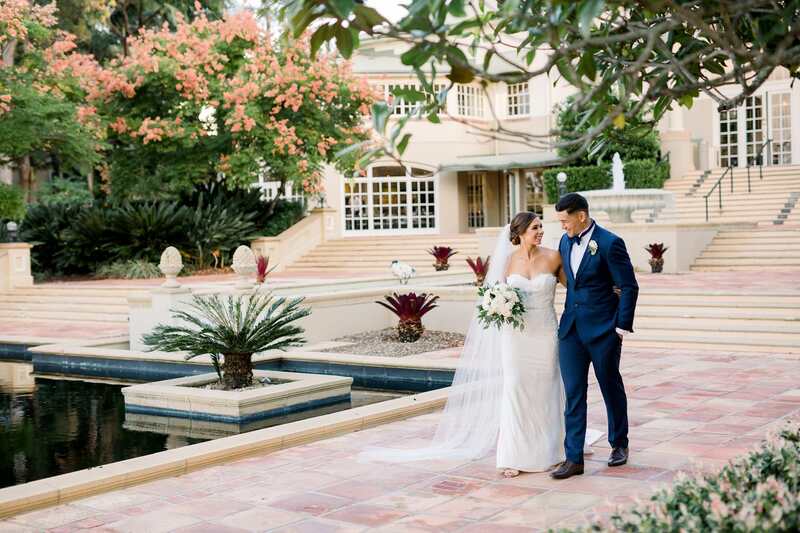 Offering the ultimate destination for both wedding ceremonies and receptions, let the elegant surrounds take your breath away as it lends itself to intimate gatherings or grand affairs. 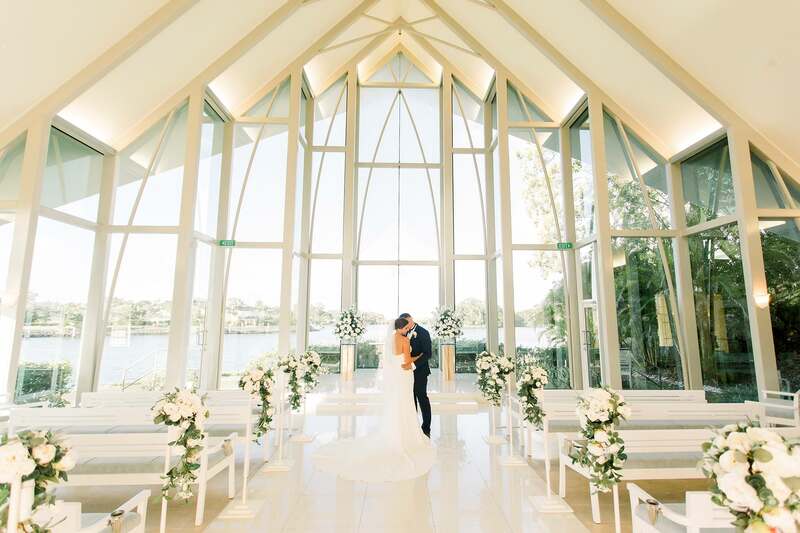 The impressive Wedding Chapel with a floor to ceiling glass façade overlooks the picturesque Coomera River. 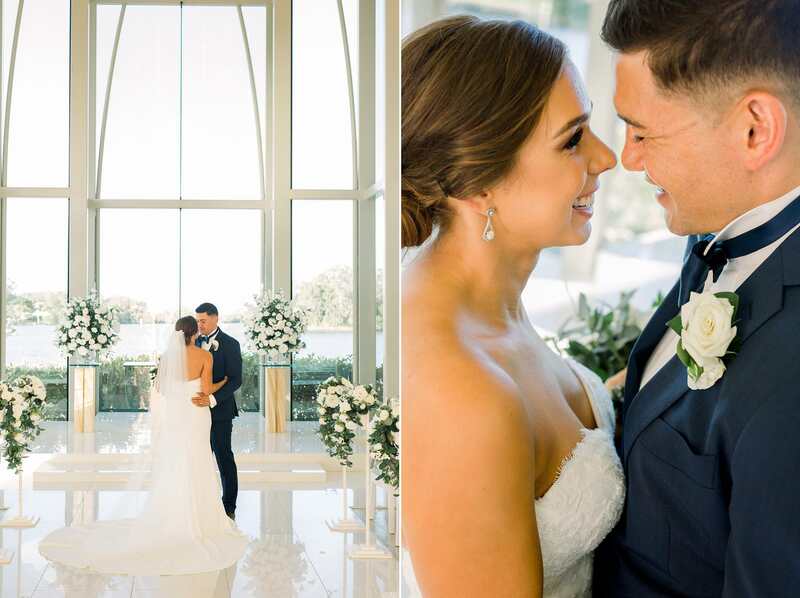 Seating 80, the non-denominational Chapel offers sleek contemporary features with a glass top registry table centred at the alt=” Intercontinental Sanctuary Cove Wedding Photographer”=” Intercontinental Sanctuary Cove Wedding Photographer”er, silk flower arrangements throughout, white tiled flooring and soaring atriums. 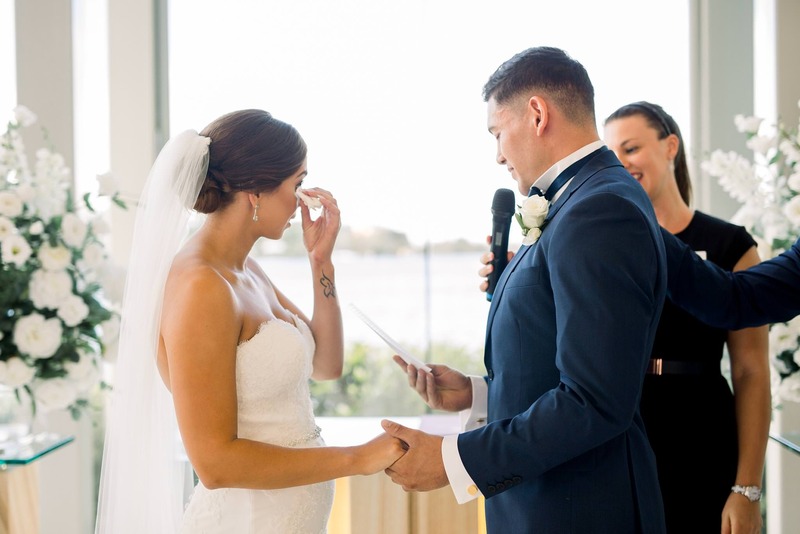 Start your beautiful beginning exchanging vows in a stunning, light-filled setting. 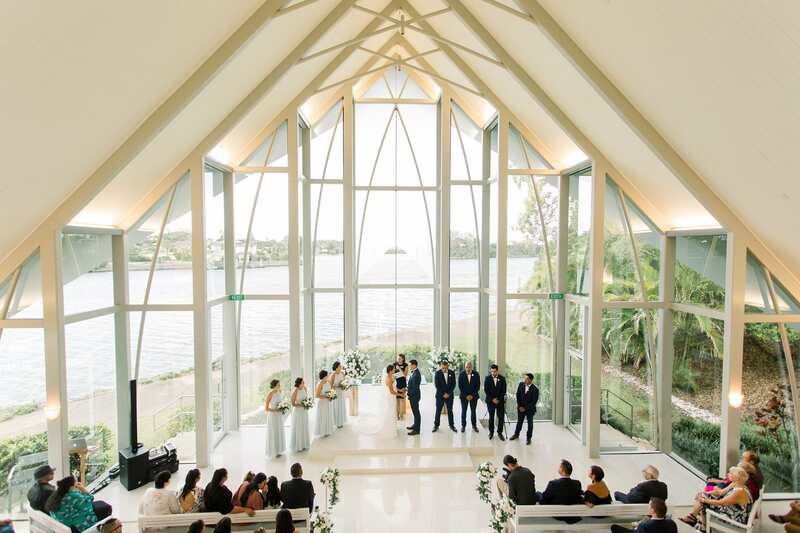 Designed with a mezzanine level that provides a unique photography angle of the ceremony for your photographer, outstanding acoustics and circular driveway access, The Chapel provides a picturesque setting for your special moment. 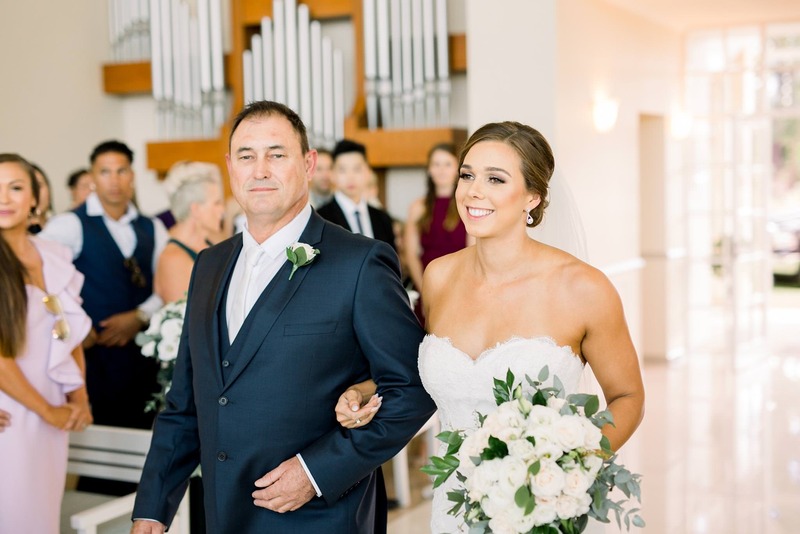 Whether you wish to say “I do” under a sparkling sky or celebrate your love story with a reception surrounded by lush gardens and frangipani trees, discover the perfect palette on which to paint moments that will last a lifetime. 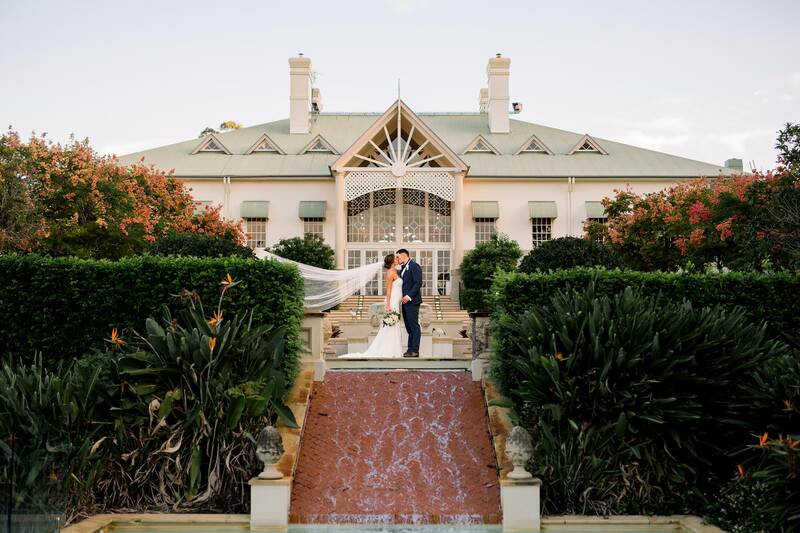 Surrounded by lush tropical gardens and manicured lawns, with the lagoon as the backdrop, The Fountain Terrace is an elegant outdoor ceremony or reception venue. 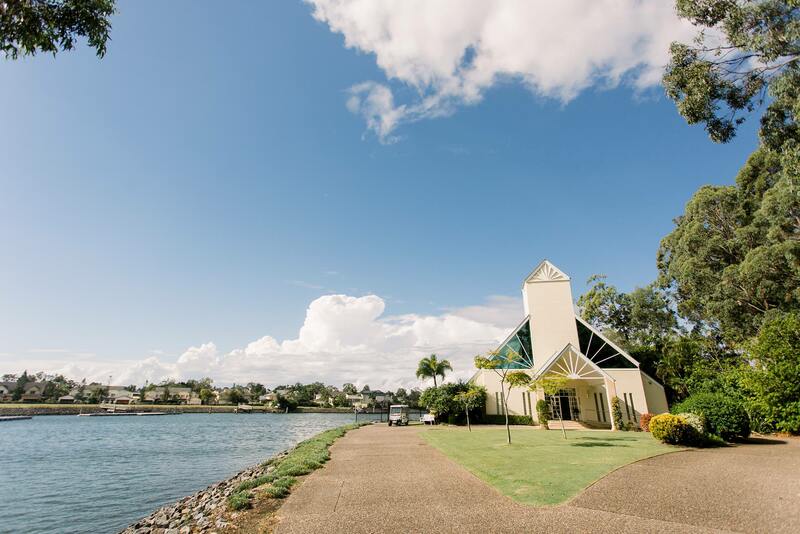 With a scenic backdrop, the Marina Lawn is a beautiful open-air venue perfect for throwing a garden or vintage-themed celebration overlooking the Coomera River. 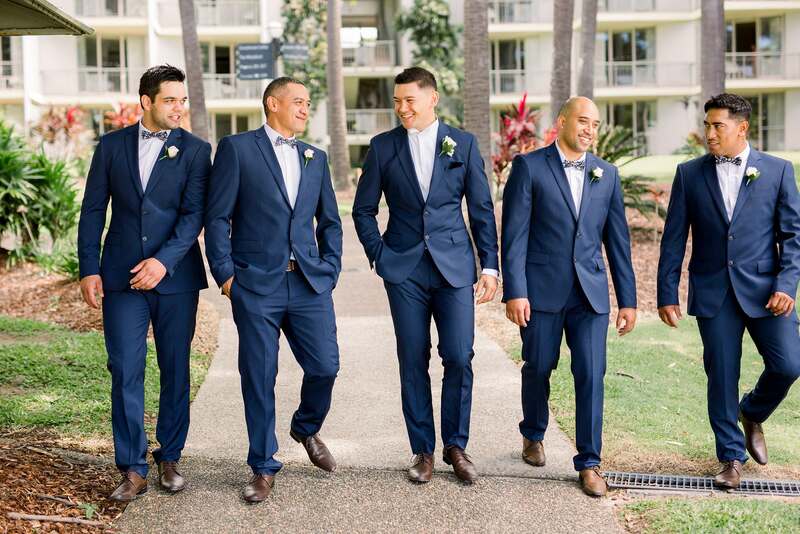 Positioned in one of the Resort’s most scenic locations overlooking the glorious lagoon with the Resort as the backdrop, the Beach Lagoon offers an open-air setting with generous space.